One of the things I miss most right now is waiting up late at night after one of David’s concerts for the videos to be posted by his videographer fans. Anticipating what David would do with the ending of “My Hands”, or whether he would nail that high note in “Touch My Hand” or waiting for the walk-step in TOSOD made it all the more fun. So, while we wait for the next tour (soon, please, soon), perhaps a few reminders of how dynamic and amazing David is in concert would be fun. I love this performance of Touch My Hand – David has mastered the stage and is super confident. Post your favorite performance video(s) and let’s enjoy the memories until we can make some more. PreviousWhat To Do During an Archudrought? Well, how could I forget My Kind of Perfect? You know what is so wrong w/ the Idol contestants this season? Not much musical intelligence. They think that blowing their pipes or growling or hitting the glory notes are the be-all and end-all on stage. Where’s the story? Where’s the connection? Restraint seems to be a forgotten art. Too bad cos there are plenty of very promising talents & exciting personalities in this batch. BTW, Casey -- the guy who was saved last week performed “Your Song” -- finally a performance that makes sense. Made me smile. Sorry but TheArchuletor owns this song since that fateful night. JR -- I think you are spot on about this year’s contestants on AI -- they have good pipes, they even seem to be emotionally in tune with the song -- but they don’t seem to be able to make ME emotionally in tune with the song. You know what I mean? I did think a few of the performances were great, really great. But my heart doesn’t seem to connect. Band Auditions VLOG. The best part is when he starts messing around on the piano with a songwriting idea. Love, love, love this vlog. Hearing about the band auditions, anticipating new performances, and then being allowed to watch David do a little improvisation -- I hope he keeps it up. I believe that there is a special musicality inside of David that only needs to find its way out. You get glimpses of his genius when he lets go on stage, when he is at his most comfortable and “plays around” with the music. Can’t wait for a new round of concerts. LOL, the mis-angled vlog is back! Why he cannot get a fix on the right placement of the camera really makes me laugh. Anw, seems like he is taking his time with getting people he will eventually surround himself with. Which is good (patiently greeting teeth here). Is it just me? But I got giddy hearing him play some song-in-the-making. Watching him “think-out” the melody actually excited me! see how the little things you do make us giddy-licious?! DA interview w/ Big Buddha -- FULL & AUDIO ENHANCED -- only the 1st part of the vid was broadcasted ( rel="nofollow"> ); But in other YT postings, the sound of the 2nd part is almost inaudible cos it was like that in the original footage – so I fixed it! Was just popping by to see what was new, saw your header, Marlie, and came on to post the first (but not only) live performance that never leaves my memory…but of course JR beat me to it; not like I’m the only one who knows Angles/Tulsa as a David moment! …to beat all moments. I know, since then, there have been SO many otherworldly performances…many I’ve been lucky to experience live…but Angels/Tulsa, and its heavenly ending will remain one of my favorites, forever! JR #7…I’m glad I’m not the only one who reacted that way, (outloud to my t.v. set…and yes, I know normal people don’t behave this way..but *sigh* I’m resigned to it by now! ), when I heard Pia would be singing DLTSGDOM…blasphemy!! David owns it, to me, too. Period, end of story. And I know David himself would balk at that but to me..
His finale moment closed the AI book on that one! conclusion of the song, David’s voice was astounding. His voice soared and hit each note perfectly throughout the Christmas hymn. But his voice aside, it’s his presence that really draws you. amb4dja -- That last part of the TULSA ANGELS is on automatic rewind for me. Don’t you get a kick out of the face, the reaction of the back-up singer?! And re DLTSGDOM -- you could say the same thing on every song David has covered. Whenever I hear the original artist, I sing along with David’s version. David has such a unique way of rendering melodies -- like that is how it should be interpreted all along. He is judicious w/ his stylings; his phrasing is impeccable. There is a remarkable musical intelligence in his singing. Combine that with the emotion he invests in each song -- YOWZA! David’s FB has been updated. This is a 1st for the longest of time. It’s for the 60th Annual Sun Fun Festival. JR (comments above on Angels etc…no numbers?) anyhoo…Yes, yes and yes! Well said on all! I cannot listen to Tulsa/Angels without rewinding the ending at least 5 times. Just noticed what you mention about the backup singer! I was always too focused on David, who I also got a kick out of. When he finishes it, and he lets out that exhausted breath and collapses…it is like he comes out of the spell of the song he’s just completely inhabited and he’s spent. He is always in the zone, but that night was REALLY feeling Angels. That’s what everyone responds to…he takes us on that emotional journey with him. THAT is the stuff JLo is trying, (to not much avail) to impart to the Idols this year. David always “got that” (he’s the kind who’s born knowing it.) It’s the premise from which he sings, as he explains in COS, from feeling the song and then communicating it. Not just “stylizing” his singing around words & vocal runs; that’s why we never hear any song exactly the same way. It’s that “musical intelligence” you speak of that has always amazed me, beyond his beautiful instrument, that informs all his singing and makes it brilliant and a surprise every time. amb4dja: You got it so right. That IS the stuff JLo is trying to get the Idols to understand. With David, it is who he is. He doesn’t work at it, he lets it happen. No one I have ever been a fan of (is there really anyone I can say I’ve been a fan of, except David?) has ever grabbed me by the heart, captured my attention and held me there like that just because they opened their mouth to sing. There are plenty of singers I love to listen to. But none, no none, that I am so enamored with. None who have the power that David has when he sings. Okay, I’m getting all fangirly. I miss the fangirl chatter and sighing and ooohing and aahing over ever video and tv appearance of David. Soon, oh soon, he will be out on the road again, singing his beautiful heart out. I know. Same here. And I can’t even explain what it is to people I know who wonder “what it IS?! !”..that’s captured me so (they think I’m nuts)…cuz no matter how many words I use to explain it to myself, they are never sufficient. I mean I KNOW what it is…but words are just insufficient. It just is what it is…he’s a master craftsman with music…and it’s one of those things you can’t explain…but you just know it when you feel it. …and those other people who still need it explained…well, I say, your heart’s gotta be asleep, man?!! ps. oh yea and don’t you worry….those fangirl moments, and yes, concerts!!.. will be coming back in due time………………! pps.. meant to also say, tks for posting that Cambio session again…hadn’t seen that in ages and forgot about it. Love that version of Angels too!…and how he explains why he loves it. I love that he feels that way because I always say I could hear that song everyday for the rest of my life… it is soaring, calming and always beautiful, and, to me, a signature song of his. Nice to hear his take on why it seems to affect people so. BREAKING NEWS! David Archuleta won the First Barkada Choice Awards! So proud to see David on-stage looking so grand & fine & so in-command. That last screen shot of him with that glory note -- the way he pumped that mic — as Randy would say -- he is the bomb! I really can’t wait to see the whole concert on TV and to buy the DVD. David was in prime singing mode that night! I think the MOTAB concert was the inspiration of getting the Christmas album out in the market fast & quick, had David been free to do it a year earlier than he actually did. Remember all the questions why he did it so early in his career? Personally, I don’t mind him doing it cos it is one of the best collection of Christmas carols out there. Plus it gave us that CFTH Tour. But the timing now makes sense. I hope the DVD also includes some interviews w/ him in that tux. He looks so dapper. Dope! I have so many favorites. But DLSGDM is one of my best favorites. I made an MP3 of the finale performance and I listen to it all the time on my stereo. What I love best after his performance was Randy’s reaction. He gushed and couldn’t help himself heap on the compliments. Esp re how he uncontrollably exclaim “CRA-ZEH”, even spilling over Paula’s time, LOL! thanks guys for all the postings! 🙂 I have completed David’s Anthem & Sports-related Performances & Interviews vid collection. A lot of them are re-uploads from my previous channel and some of them are new & full footage. A lot are better vid quality than the ones already online. Exclusive Footage of David @ UTBlaze Halftime Show, Interview w/ Sportscasters & Jonah Time — you don’t want to miss this! MARLIE -- perhaps we can have an ANTHEM & SPORTS-related page under the Performances section? In that way we have a permanent place to visit for the vids? If you can create the section,I will create the page. Thanks! Thanks for all the video footage! There’s a video I’m looking for and I wonder if anyone here has the link. In 2009, a video released by AI that showed behind the scenes during various seasons. For a couple of minutes, a producer(??) mentions that when David would come out on the stage, girls would go wild and once, one even fainted. As she’s talking, they show footage of David wearing a white jacket over a yellow polo shirt. Near the end of the clip, Brooke White is interviewed. I thought it was called “Backstage with Idol” or something along those lines. A cover of ALTNOY -- what do u think? ALTNOY: Interesting attempt. She skipped the hardest parts. I have always thought that song was a voice killer, and am amazed that David gets those notes right 99% of the time. Marlie -- the ALTNOY cover is actually a he? So as soon as the race was over I raced across pit road along with all of the people that had Victory Lane access so I could get in place to get a good shot. This is yet another time where the Hard Card comes in handy. I got to be inside of the roped off area and got some shots of Harvick entering Victory Lane. Jackryan4da -- huge thanks for the video clip!!! The other day, David went back to NASCAR. Today I see his name conncted to a basketball game? OMG -- a guy? Sorry! Preferred V.I.P. Seating Section. Our volunteers will direct you to the preferred seating area after the Meet & Greet Session. If you choose, you are able to change seating at your discretion. MARLIE -- David ran right over? Maybe. But my main concern right now is this: IF David will play ball, WILL HE WEAR SHORTS? Marlie, I haven’t been here for a long time but dropped by and found your super article with so many great videos to see. I have found some that I have never seen before and that is hard to imagine but true. I looked at your list of columists and guest writers and there is a wealth of amazing writings and videos here in your library. Thanks also to JR for all the news and videos that you continue to bring to the sites. Wasn’t able to join the group cos, well am still working till now! But one of the guys uploaded their footage. The screams, LOL!!! I dunno but that made me LMAO! Is that a run about commentary on the state of affairs in them parts? Well considering the hype that a song like FRIDAY is getting there, i.dunno…. Thanks JR for the translation I appreciate it! SB -- I know! That’s why our David was never in danger of being eliminated during his Season. He jnever had to go through a Daughtry or Pia moment -- although post-Idol stories reveal he was always ready to go home every week (talk about being pragmatic). W/o adoubt, his fanbase had (and still has) his back no matter what. I think he is the most adopted Idol/person in the world, haha. We hear David’s new band is really something special! He’s picked some extremely talented musicians. Can’t wait until he introduces them! @andrea_1234 why a sad face? 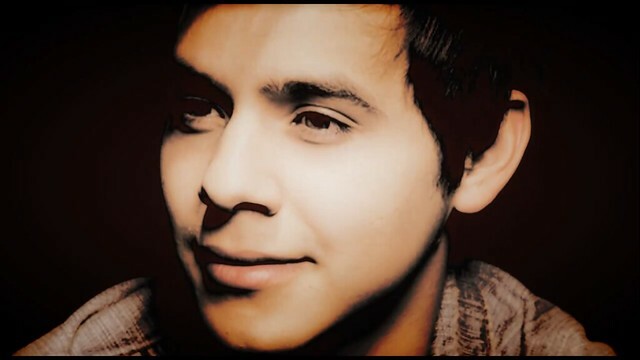 #davidarchietour2011 David is doing things this year. You will see him. So I guess Kari wasn’t part of WEG, and when he dropped Melinda, he didn’t drop Kari. -- Competitor depth. Last year, she would have gotten more votes at this point against the likes of Aaron Kelly and Michael Lynche. This year, “Idol’s” deeper pool of competitors meant many have their own strong constituent followers doing mass voting, be it Scott McCreery, Lauren Alaina or James Durbin. Those three contestants who have yet to land in the bottom three. MJ, who ranked Pia on top of her “power” list last week, thinks that while fans are enjoying the season, nobody is generating David Archuleta/Adam Lambert-level fan bases. Interesting. And may I add the Clay fanbase. It takes undeniable charisma to evoke the depth and breadth of loyalty that DA, AL & CA were able to do so. I’m afraid Pia, with her “perfect attempt to deliver the perfect vocal performance” failed to elicit such levels of fandom. I guess that’s why it is called the “IT” factor. You never know…. Want to re-live the cra-zeh, heady days of David’s UT Homecoming? David will be doing a SKYPE interview on WBOC Channel 6 tomorrow morning (6:00A EST); and a local radio OC104 interview on Thursday morning (8:00A EST). The link for the radio station is http://www.oc104.com/ . As rumors abound over Pia Toscano’s possible record deal with Interscope (and, in juicier news, an alleged romance with a fellow reality show hopeful), “American Idol” viewers this week face the first episode following the power ballad vocalist’s surprising elimination Thursday (April 7). Still, Toscano can find comfort in the impressive sales -- and additional achievements -- of prior “Idol” contestants who fell short of donning the contest’s crown. Here is a look at the five best-selling non-winning “American Idol” finalists ranked by total U.S. album sales, according to Nielsen SoundScan. Some interesting tweets on David & the new band — are you ready for this? @[email protected] That’s all we’ve got for now! Jaaaazz falir? Drums? Is the soulman from UT coming up next? Are we going to see a future David playing multiple instruments? 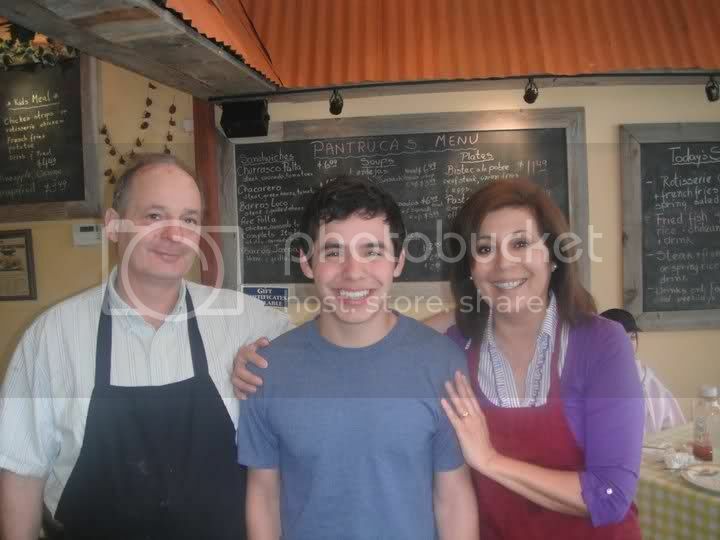 @pantrucas Last Friday we had David Archuleta at Pantrucas. He came with family members celebrating her mom (Lupe) birthday. Thanks Lupe, David and family; it was very nice to have you with us. You are a very humble and nice people. You truly honor us with your presence. Good luck to all of you!!! I just went thru the May 2008 David Archuleta Day archives. Thanks for the trip down memory lane! I wonder if Murray High still has that billboard of David wearing the LAWR blazer. an-tic-i-pa-tion. It’s been way too long since I last saw a performance from David. David will do a SKYPE interview on WBOC Channel 6 tomorrow (Wed.) morning (6:00 a.m. ET / http://www.wboc.com). TOUR DATES! The new keyboardist spilled. TOUR DATES!! But TOUR DATES! With a more SOULFUL David! cutter: Oh, the anticipation for a tour is starting to build. I can’t wait! JR: Gah! Tour Dates! Well, that just makes my heart sing! @vermeer….OMGoodness I just saw the news on another website and came here to see if everyone heard…I started crying of course. I MISS HIM SO BAD and the word TOUR is my favorite word as of this moment, lol. Fe, JR, I know that we still need to hear from the man himself but it is becoming more likely Mark was talking about a David tour, not Glee tour which is also happening this summer here and abroad. He tweeted a fan back saying he is not part of the Glee tour!!! GAH!!! Is it premature to get excited??!! Deets on the Celebrity Basketball Game DA is joining. Anyone going? V.I.P TIX $30 (Online Sales Only) *** V.I.P Package includes celebrity meet & greet at an undisclosed location and priority seating at the event. For more information contact Frank Hawkins at 302-652-6776 or log onto the Duffy’s Hope website. I’m thrilled about all the Tour news! US tour, European Tour, One-month Christmas Tour. I’ve got my frequent flyer miles all ready to go! Why does this guy make us so happy? The mere mention of tour and our collective pulse starts thumping and jumping. “You know, David Archuleta!”, I said. Marlie -- luuuuuv your husband’s reaction. Even here in the office, they noticed that my smile is different! Like a have a secret. Didn’t even realize it. Yes, JR, goners! You’d think this love for David would fade….nope! Wow, all this talk about tour is really exciting! I hope its all true. Can you imagine all the new videos we’ll be able to peruse at our leisure? It’s a good thing that the internet is endless. If his videos were tangible instead of electronics; could you imagine how much storage space would be needed to fit all of “David stuff” in one place? And that is how you do it. Yes am looking at you Haley Reinhart! olem: That is fantastic -- thanks so much! David does a good job at evolving from his self-titled debut album just enough to pick up new fans without alienating his core fan base. For most artists, the second album is the most crucial. Either a big step forward, or a big step backward in a singer’s career. Most critics think David’s taking a big step forward all the way to the other side of down. He’s a little older and a little more willing to play with sounds and vocal arrangements but he knows who he is. David Archuleta has seemingly found his kind of perfect in this tough industry and it’s reflected in this stellar second project. Save the date! 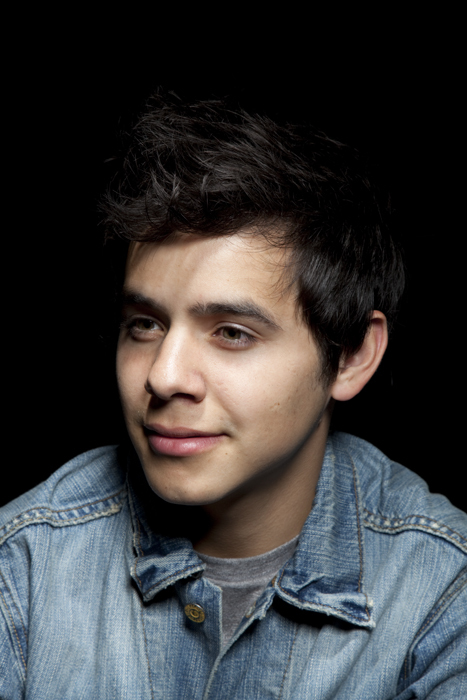 May 28th: I’ll be peforming LIVE w/ David Archuleta 2 kick of the Sun Fun Festival in Myrtle Beach! HEYA/SPEED OF LIGHT -- BTR previewed it just recently -- listen to the 2nd song. One version of the song is meant for the manga/anime market. This is a good tactical direction for David as a song writer cos that is a lucrative section of the animation/gaming industry. Guys, HE IS PLAYING! No ifs, no buts! Now am really wondering what he’ll wear?! @scpancake Haha. Unfortunately I don’t have those bball skills worked up but I will be cheering everybody on. Hi JR and everyone else! I’m trying really hard not to get too freaked out over the EU tour possibility for two reasons. One; it’s not confirmed yet and two; I’m afraid that I won’t be able to go since the baby’s due July 29th. I know JR has already created a great visual of me at the doctor’s office trying to explain why the baby has to stay inside a little longer 😀 And right now it seems like that scenario is very possible! If you find pix, quotes, tweets about the game, pls post it there, ok?